Tracey Kardash is the deputy director of development, based in Los Angeles. 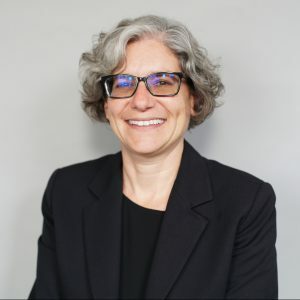 She joined PEN America with 20 years of experience as a nonprofit development professional, including most recently 5 years defending human rights through fundraising as the director of development, Southwest region, for Amnesty International. Earlier, she held executive positions at Union Station Homeless Services, Jewish Big Brothers Big Sisters, The Foundation for Camp Max Straus, and The Jewish Federation in both Los Angeles and Palm Beach County. Originally from Ottawa, Canada, Kardash has a Masters in management human services and a Masters of Arts from Brandeis University, with concentrations in fundraising and advocacy. When not advocating on behalf of others, she spends time in her native garden, mountain biking, and cycling around the world.